Acoustic Energy Compact 1 review | What Hi-Fi? Without a point of reference it can be hard to work out the size of products from the picture, so we’ll start by saying these are very compact speakers, measuring just 22cm tall, 15cm wide and 20cm deep. 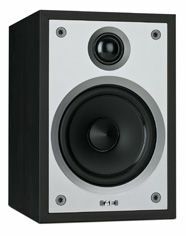 Those dinky dimensions mean the Acoustic Energy Compact 1s will fit just about anywhere you want, and while they sound their very best when placed on stands with some space around them, they’re still pretty tonally consistent and controlled in the bass if you cram them into a corner or mount them on the wall using the built-in bracket. As with everything we test, we’ve listened to a heck of a lot of different music through these speakers, and we can safely say they’re impressively consistent. There’s a fluidity and maturity that lets your music flow smoothly, and a seamless tonal range that means neither the bass nor treble ever sticks out more than it should. This fluid, easy-going style lends itself best to acoustic numbers such as Bonnie Prince Billie’s Wolf Among Wolves or stripped-down classical like Bach’s Suite No.1 for solo cello, but here we started to notice a slight lack of detail, drive and dynamics compared with the best at this price. Those minor gripes are brought further to the fore by a switch to more beats-driven music, with Little Dragon’s Ritual Union lacking the excitement, nuance and downright fun that a speaker such as the Dali Zensor 1 can produce. That’s not to say we’re not keen on the Compact 1s. On the contrary, we entirely appreciate the excellent build quality and looks that effortlessly combine cuteness and seriousness. Their grown-up, easy-going approach will please a lot of listeners, especially those looking to temper a slightly aggressive or excitable hi-fi. If space or cash is tight, hear these.